How Can You Rank Your Business with Facebook Professional Services? Ever wonder how your business can get more out of LinkedIn? 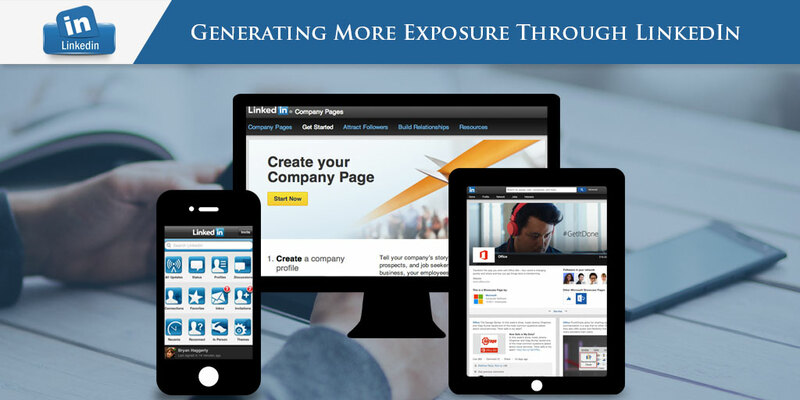 Do you want to maximize your LinkedIn presence? LinkedIn has number of built in features which work together in order to promote your business and the products which you built. And in this article you will see how you can create an integrated LinkedIn profile for marketing the presence of your business. In order to create awareness about new product line of your company, you would like to create content hub for the company news where you can publish employee success stories, news about new hiring in order to attract new talent. 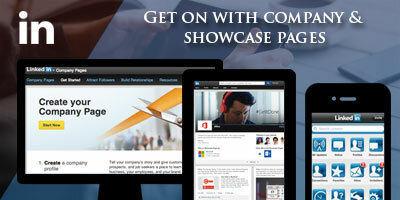 This is where LinkedIn company and showcase pages comes into role paly and can help you in maximizing your efforts. The very first step is to establish LinkedIn presence for the business by creating a company page. In order to this gather the following material and information.  A high resolution company logo (no larger than 2 MB) and cover banner (646×220 pixels).  Up to 2000 characters a written approved description of the company.  A list of relevant keywords. You are now set up company page. On LinkedIn, hover over the interests tabs and select companies from the drop down menu. On the right side of the page look for the create company page section and click on the create button. You will now be prompted to enter the name and email address of the company, enter that and LinkedIn will sent you a verification mail to ensure that you are authentic representative of the company. After email verification upload company logo, cover banner image, company description and other details regarding the business. Once you are done click on publish button. If your company already has a page and you want to contact current administrators in order to get the privileges for the LinkedIn account. In case you are not sure who is responsible for managing the page currently make sure that you have added your work e-mail to your personal page. Then you can go to company page and look for want to manage this page? section. From here you can contact the administrators and request for the privileges. Once the company page is set up you may want to create other sections in it in order to market different assets of the company and this is where showcase pages comes into play. A showcase page is an extension of the company page but they are also standalone entities as they contain their own content in order to attract the followers. Creating a showcase page is similar to creating company’s page but here you provide information about the specific product of the company. • Share the branded content of the company such as white papers, ebooks, webinars, videos, blog articles etc. • Share things to create a network which will help your company in achieving day to day tasks on daily basis. • Deliver the job opportunities, announcements and press release. LinkedIn publisher articles allow you to share the written insights and articles with your connections. It is essentially a personal blog or distribution channel. Whenever you publish an article a notification is sent to all your LinkedIn connections. • Content length should be 400 to 600 words long. • If possible include visual content such as videos. • Mention other industry leader and professionals in your network wherever possible. Once your content is ready to share with the target audience, now is time for all your hard work to get noticed and you can do this with the help of LinkedIn’s sponsored updates. They are not expensive and will get your work done.